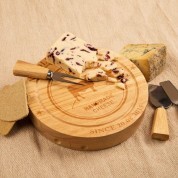 This laser engraved cheeseboard is a unique and stylish gift for any family. 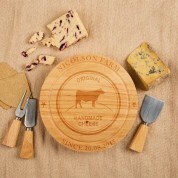 The wooden board features a cow incorporated in to a vintage cheese packaging design. 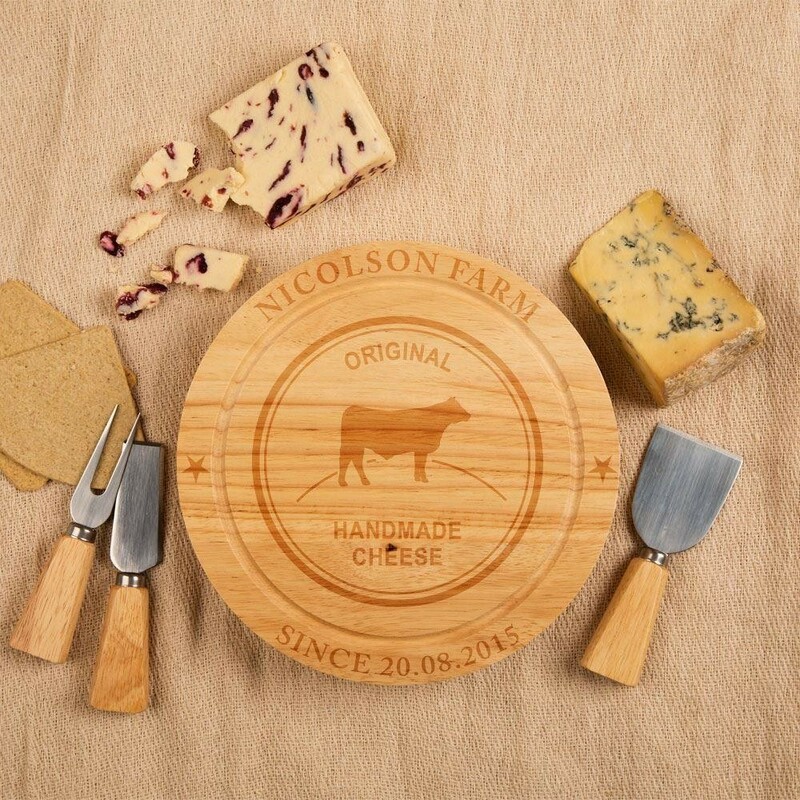 It is also fully personalised with the family's surname and a special date. It's a classic design that will stand out in their kitchen or dinner table. 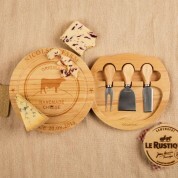 The cheeseboard comes complete with an integrated compartment, holding three cheese tools – a cheese fork, Stilton knife, and cheddar knife. The lid of the board easily swings round to reveal them. Our boards are made from natural hevea wood, and the grain may vary from the images shown.